GUESS?, INC. 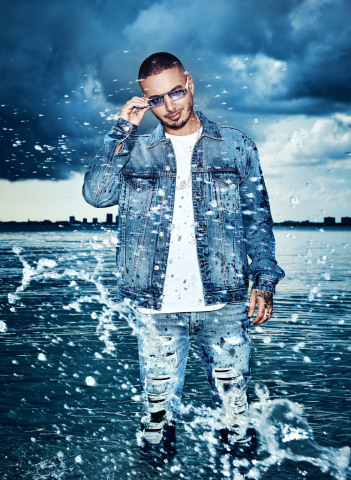 ANNOUNCES GLOBAL MUSIC SUPERSTAR J BALVIN AS FACE OF SPRING 2019 GUESS VIBRAS CAMPAIGN | Guess, Inc.
LOS ANGELES--(BUSINESS WIRE)--Nov. 15, 2018-- GUESS is proud to introduce multiple Latin Grammy Award Winner J Balvin as the face of the GUESS Spring 2019 campaign. The singer stars in the advertising campaign alongside modelsSofia Jamora, Kara Del Toro, Xian Mikol, and Gabriela Giovanardi in a series of images shot in Miami, Florida. Hailing from Medellín, Colombia, José Álvaro Osorio Balvin - better known to a legion of global fans as J BALVIN - has been praised by Billboard as “the biggest breakout act Latin music has seen in many years.” With a distinctive style all his own that pays reverence to the first-wave of Reggaetón stars from Puerto Rico, but fused with additional Colombian and mainstream hip-hop rhythms, more seductive than boastful lyrics, and a strong passion for fashion, J Balvin has become the undeniable leader of a second-generation Reggaetón revolution propelling Urban music back to the forefront of Latin music worldwide. Between his game-changing major-label debut album LA FAMILIA, multiplatinum successor ENERGIA (The #1 Latin album of 2016) and recent landmark singles such as Mi Gente, and Machika, J Balvin quickly notched ten #1 Latin singles, over 50 million social media followers, and over TEN BILLION Total YouTube Views. With his distinctive style and chart success, J Balvin has also become one of Latin music’s most in-demand collaborators, having now worked with artists such as Beyoncé, Justin Bieber, Cardi B, Pharrell Williams, Ariana Grande, Liam Payne, Major Lazer, Juanes, Camilla Cabelo, Nicky Jam, and more. Major award recognition has also followed, as J Balvin holds a Guinness World Record for the longest #1 run for a solo Latin single, has won back-to-back Latin Grammy Awards, multiple Billboard Latin Awards, BMI’s Songwriter Award for Contemporary Latin Song of the Year, and overall ARTIST OF THE YEAR recognition two years in a row at Univision’s Premio Lo Nuestro. J Balvin’s recently released new album VIBRAS has been hailed by TIME, Rolling Stone, Billboard and more as “One of the Best Albums of 2018” while also propelling the Colombian star to #1 rankings on both YouTube & Spotify’s global charts as this summer’s #1 streaming artist in the world.